After VCU suffered a head-scratching loss to Massachusetts on Thursday night, there remains one team atop the Atlantic 10 standings: the Dayton Flyers. Dayton (20-3, 10-1 A 10) enters a road contest with Rhode Island having won 8 straight games in conference play. The Flyers’ last and only loss came on the road to La Salle back in early January. Since then, Dayton hasn’t missed a beat, though the Flyers did secure a very close victory over Duquesne last Tuesday. They trailed by as many as 12 late in the contest but managed to go on a run at the end of the game that would lead to a 76-74 victory. After a relatively easy stretch of games, Dayton is going to get to play some of the conference’s best in the coming weeks. This is where we see how true Dayton really is. Rhode Island (14-10, 6-5 A 10) enters this contest having battled through countless injuries this season. Though the Rams are most certainly not playing at full health, they did benefit from getting Jarvis Garret back into the lineup recently. Since returning from a jaw injury that sidelined him for one game, Jarvis Garrett has scored 43 points and dished out 8 assists in his last two contests. E.C. Matthews is out for the remainder of the season with a torn ACL; it is unknown when Kuran Iverson, concussed in a game against St. Joseph’s, will make his return. Dan Hurley’s team has found a way to grind it out in the A-10 despite countless misfortunes. The Rams are riding a 2 game winning streak and will have a chance to get their biggest win of the season when Dayton visits Kingston on Friday night. Believe it or not, Kenpom actually projects the Rams to get the upset win at home. Rhode Island has a 51% chance of beating Dayton and is supposed to win 65-64. The Rams are 12-3 in Kingston this year and certainly have proven that they play well in front of their home crowd. The Flyers are 5-1 on the road this season. Something’s going to have to give on Friday night. One stat to keep an eye on Friday evening is team free throw percentage. Both of these teams are pretty bad from the charity stripe; Dayton ranks 267th in the nation at 67.3% while Rhode Island ranks 297th in the nation at 66.0%. If this one comes down to the wire, the team that finds a way to make its free throws will be the team that emerges victorious. With all of the hype VCU gets for its defense, it’s easy to forget that Dayton plays very good basketball at that end of the floor as well. The Flyers have the 20th best defensive efficiency rate in the nation and they also have the 50th best defensive effective shooting percentage in the nation. The Flyers have held opponents under 65 points 7 times already in conference play. Rhode Island is also doing a very good job on defense, allowing no more than 65 points 10 times already in conference play. It’s safe to say that we should expect a low scoring game on Friday night. All in all, this game could come down to who’s guards show up to the party. Jarvis Garrett and Jared Terrell have been spectacular for Rhode Island, but Scoochie Smith, Kyle Davis, and even Charles Cooke have shown that they can score the basketball at a high-level. This really should be a wear-and-tear type of game- a war of attrition. I’d expect the team that players better defense to have the edge on Friday night. 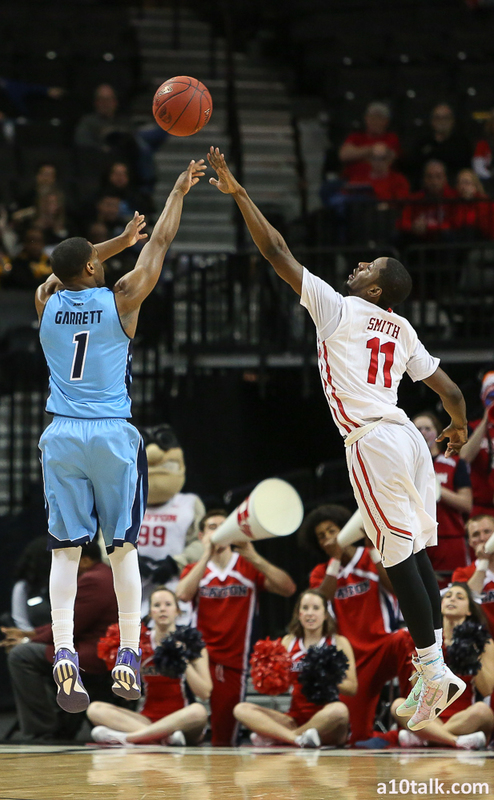 Dayton has been hot, but Rhode Island has been playing with a “grinder” mentality. No matter the outcome, it’s safe to say that this one is going to be a battle in Kingston, Rhode Island.